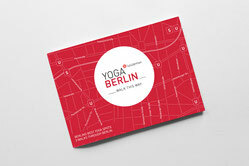 As I was scouting for my new YogaBerlin map, I found many yoga studios in Berlin and many different types of yoga. Here are my Top 5 yoga experience of the last few weeks! Climbing is simply better with yoga. Marius is the founder of Climbing Yoga Berlin, especially developed yoga style that is geared to the needs of climbers and people who boulder. He hosts workshops throughout Germany, but also every weekend in Berlin. Here you can learn specific asanas, flows, warm-ups, breathing and massage techniques as well as great partner exercises such as the 'human climbing tree'. . . . . or at Tempelhofer Feld. Whether 'sun salutation' on the grass or 'warriors' on the runway, on the Tempelhofer Feld you will always find a free place for your yoga mat. Yoga on the move lets you practice your Vinyasa Flow in unique places, whether at a former airport or in the ancient chapel on the Urban. 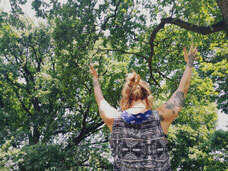 Leonie and Marlene will show you the most beautiful parks and hidden places for your yoga mat. 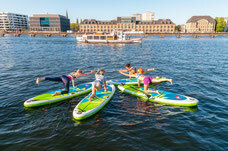 For all the water babies and yogis out there, Badeschiff offers not only yoga on land, but also on the water. From 'cat' to 'cow', over 'down dog' to plank, yoga on the Stand Up Paddle Board is exhausting and meditative at the same time. Here you can exchange the mat for a paddle board, dangle all four limbs in the water and forget your worries. From June to September yoga on land takes place every Tuesday and Thursday from 9:00–10:00 and SUP Yoga is always available on Monday at 18:00, Saturday at 10:30 and Sunday at 12:30. Ooommtastic! Yoga in the grass under leaves dancing in the wind. Whether beginner or advanced Victoria of Swan Mountain Yoga regularly gives yoga at Hasenheide Park on a donation basis. Here you lie with the grass beneath you and the treetops above you. A pleasant breeze not only makes the leaves rustle, but also cools you down while you find your Vinyasa Flow. Meeting point is Sunday at the entrance at the Hasenheide (street). If you are a little late, just follow the chalk arrows. Victoria's class always takes place under the same tree in Hasenheide Park and is a real highlight. Namasté. Not aggro, but acro. 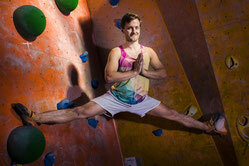 Acro Yoga is a mixture of gymnastics, dancing, acrobatics and yoga. 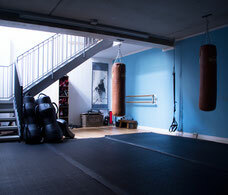 You can find classes at Chimosa in Berlin Mitte. The word 'acro' is Greek and means 'high'. In this class you will literally learn to fly like in the movie Dirty Dancing. To perform Acro Yoga, you need at least one buddy. When flying, one person or 'base' lets the second person 'fly'. Not only does this look incredible, it is also twice as much fun with a partner. Have fun taking off!